Mayur Web Technology offer industrial training affordable cost like Joomla, Word Press, Magento and Drupal Ahmedabad, Gujarat in India. Mayur Web Technology offer affordable training program open source software solution in India. PHP Content Management Systems are most popular way of developing rapid websites, using CMS one can manage whole website through administrator panel. 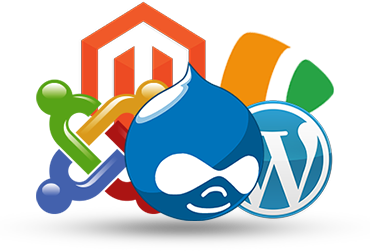 Most popular PHP CMS are Joomla, Wordpress, Magento & Drupal, these are open source framework. Why Learn Joomla Wordpress Drupal? Developing a fully dynamic website is a complex and time taking process, but now clients & company wants rapid development to reduce man time and cost so how is it possible? PHP CMS is there to solve this. Joomla, wordpress Drupal are the framework which provides great management of website with less effort. PHP CMS (Joomla) Training is provided by experienced professionals (experienced from Delhi). Realtime CMS Project with Explanation and Project Phases. Certificate will mention the URL of your project you have worked on during training. What will you do in Joomla Live project work?